Before Baltimore was Charm City, it was a bustling port city and the largest entry point into the United States for immigrants aside from New York City. Unfortunately, much of the city had to be rebuilt after over 70 blocks of the city were destroyed in the Great Baltimore Fire of 1904. Still, much of Baltimore’s older buildings remained, especially the rowhouses of brick and formstone that have come to define the city’s architectural character. In fact, tens of thousands of these row homes still line the streets of Baltimore and even newer developments in the outskirts of the city continue to build row houses, albeit with more modern techniques and materials. If you own one of Baltimore’s iconic rowhomes, it is important to know that their foundations are different from houses constructed in the modern era. While modern homes are built on foundations of poured concrete, whether in the form of a slab, basement, or crawlspace, older homes, such as the rowhouses in Baltimore, are likely built on stone or rubble foundations. 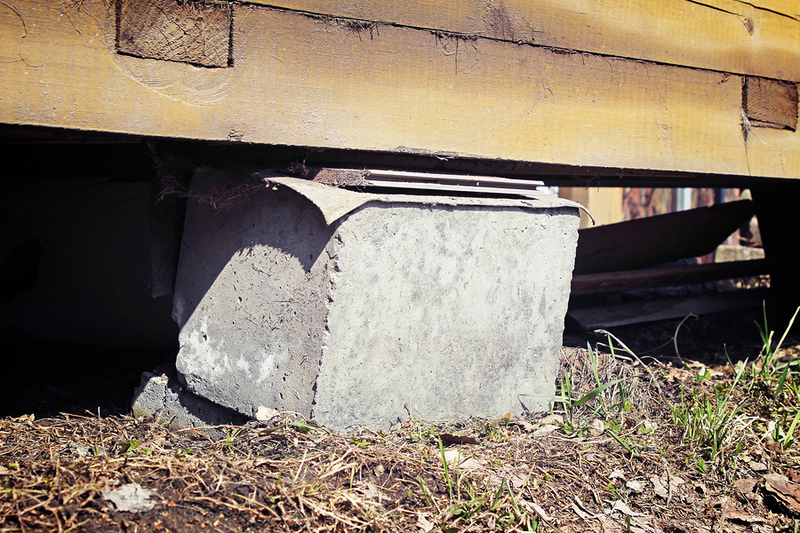 Foundation shifting or sinking is a common problem in a lot of concrete foundations, but homes built on stone or rubble foundations have been around for at least a century, if not more, so they have long since stopped shifting. A larger problem for these foundations is the degradation of the foundations themselves. A good foundation repair service in Baltimore should know how to deal specifically with these older foundations made of stone and rubble. Regardless of the type or age of the foundation, the root cause of the majority of foundation problems is water. Fluctuations in moisture level, especially in a mid-Atlantic city like Baltimore with its unpredictable storms, can cause the soil around your foundation to shift, creating stresses on your foundation. For stone and rubble foundations, the stresses, along with the naturally degrading effects of water, can cause mortar to crack and degrade. It is important to hire a foundation repair service in Baltimore to fix these mortar defects, and prevent further deterioration before the stone or rubble foundation fails. If left unaddressed by a foundation repair service in Baltimore, these problems can lead to significant structural damage in your home. Repairing older homes with stone or rubble foundations can require a lot of masonry work. It is important to fill in any cracks or voids in the mortar with new mortar, and in cases where stones in the foundation have already begun to shift, hire a mason to stabilize and preserve the wall against any further structural failure. 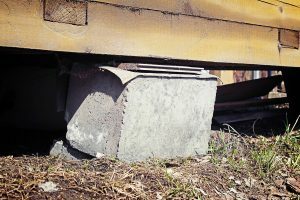 A good foundation repair service in Baltimore should be familiar with this type of masonry work. Repairing a foundation problem is pointless without addressing the underlying moisture problems that can cause the structural failure in the first place. Foundation repair services in Baltimore can also provide waterproofing services using modern polymer based coatings, or by installing drainage systems in or around your foundation to keep away excess moisture. More importantly, if your foundation has experienced any of these problems, there is a good chance that there is also mold and mildew growing in your foundation as well. Mold and mildew causes an unpleasant, dank smell that will likely spread to the rest of your home. Mold and mildew, however, also releases spores and toxins into the air that are harmful to human health. An important part of any foundation repair service is mold remediation. Even dead mold particles can continue to cause health problems, so it is important to hire a professional team to remove all organic material from your home. If you have foundation problems, you should consider contacting a foundation repair service in Baltimore that can also provide mold remediation services.